I'm back! So it's been while since my last post but I was in my final few months of uni and wanted to get my head down. Uni is over for me now (scary but exciting) and I've been a busy bee enjoying this lovely (but rare) hot english summer. The heatwave has made me a little less gutted about the fact I don't think I'll end up going abroad this year...every cloud has a silver lining and all that jazz. 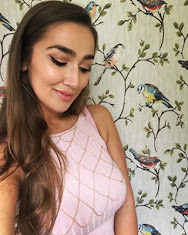 I've just had my 22nd birthday and got some lovelyyyy presents, which I will be including in my upcoming posts but for now I'll be writing a review on something I treated myself to today with some birthday money. I was browsing in Debenhams and walked past the Benefit counter...slowly...as usual, and saw something that looked new. I picked up the pretty pink tube and couldn't help but put a little bit on my hand and then smother some on to my lips. I love lipgloss but I'm not a fan of sticky glosses that your hair gets stuck in with one small gust of wind. I had a little walk around the shop and rubbed the remainder of the gloss in to my hand and then noticed how smooth my hand felt, like I'd just moisturised! 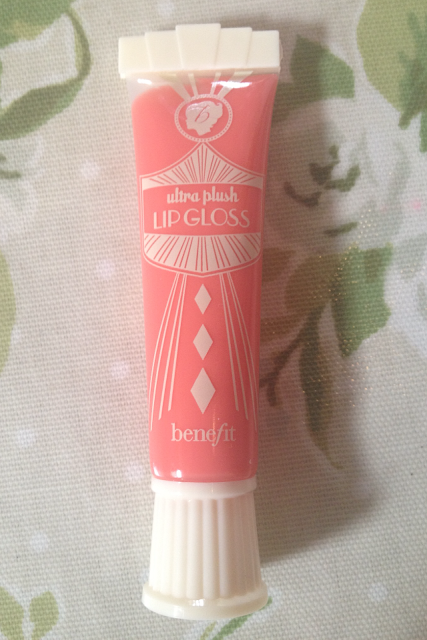 I was pleasantly surprised to notice how smooth the gloss felt on my lips, almost like a lip balm and the scent was really fruity, without being overpowering. 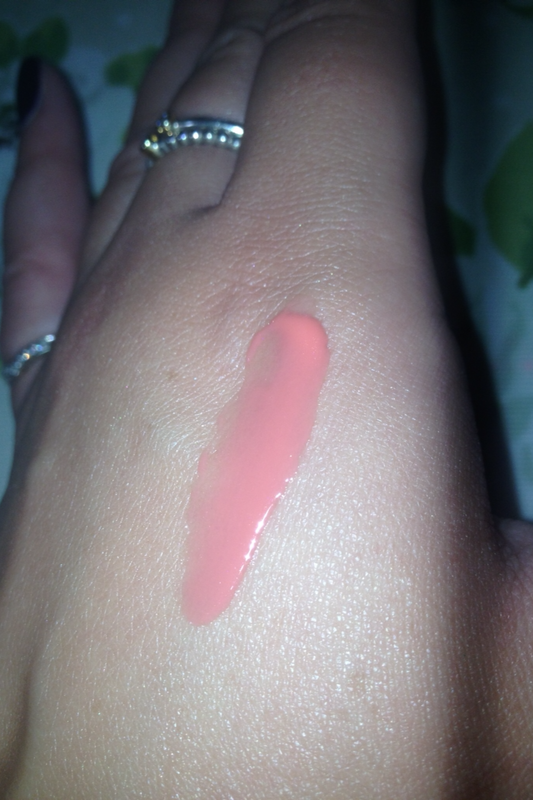 I knew I had to get one and went for the shade 'Poutrageous', which is described as a bright-pink coral. The gloss comes in 6 shades, one of which is clear and I think they are definitely worth a try, I think they're delicious! The packaging is also really cute and has a vintage vibe, which I love. 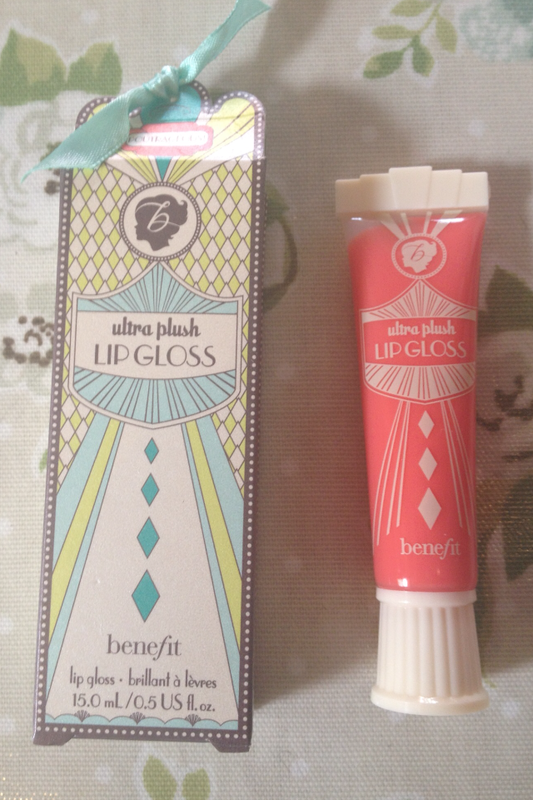 Have you tried any of the new Benefit lip glosses? What do you think?